His latest track, “Maybe If I Try” is no exception. “Maybe If I Try” emotes a beautifully motivational theme of determination and the successes yielded from putting in effort. With a strong, beautiful female protagonist, the video shows how one can be fruitful in life when they try. Reminiscent of a humbler, more candid montage that can be found in movies, this video perfectly represents the pureness and somber notes of the song and the motivational message he is trying to give his listeners. Interspersing clips of John and his band, the video demonstrates the powerful presence and passion that John Haesemeyer gives in his performances. Growing up in the Midwest in the 1980s and 90s, Haesemeyer found a haven in the singer-songwriters who came before him. Their music gave him a way to reflect on the world around him and his personal struggles within. In making music, Haesemeyer’s goal is to create a similar experience for listeners; exploring the themes of loss, love, and hope that are common to the human condition. Playing on the honesty in his voice, the strength of his melodies, and the imagery of his lyrics, John always manages to remain true to his singer-songwriter roots while exploring a diversity of musical genres. 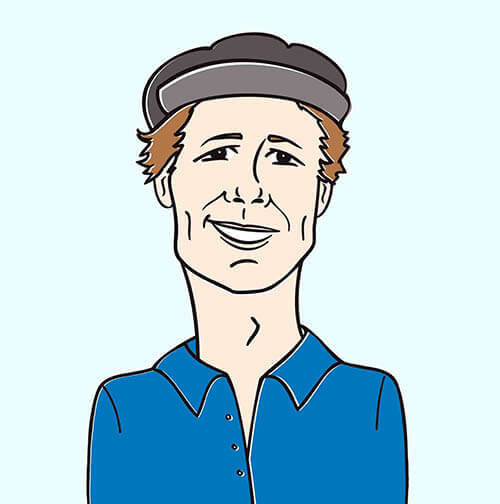 John Haesemeyer released his debut record, Come Along Quickly, with Hyde Street Studios in 2013, drawing on a catalog of more than 50 songs that he had written and recorded in various stages of his life. Haesemeyer, and producer, Nahuel Bronzini, thoughtfully arranged the album. The result is a fully textured album featuring 15 different rock and orchestral instruments, back-up singers, and even a hip-hop artist on one of the tracks. Haesemeyer is currently performing in California with his six-piece band, making music videos, and working on his fourth studio record. 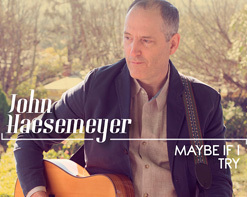 We hope you will embrace John Haesemeyer and his “Maybe If I Try” video as thoroughly as we have, so please let us know what we can do to lock in your support! Please contact Andy Gesner and the HIP Video Promo staff at (732)-613-1779, email us at info@HIPVideoPromo.com. You can also visit www.Haesemeyer.com for more info on John Haesemeyer.